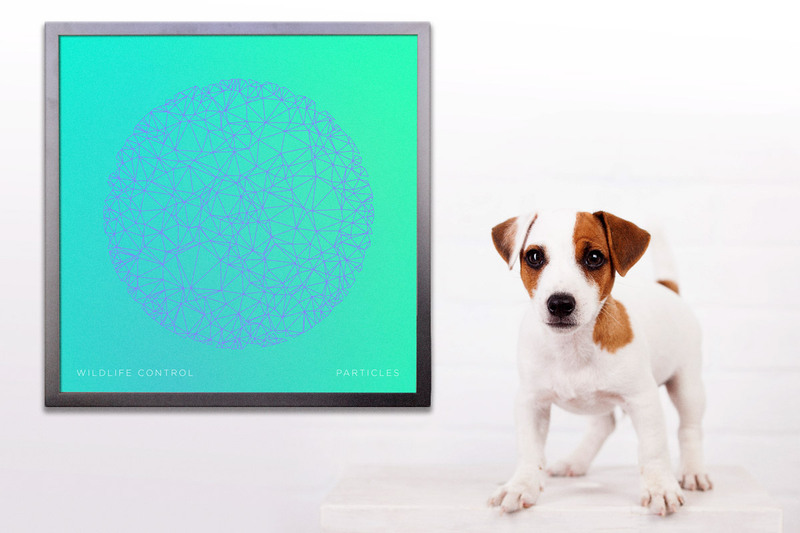 Take your wall's vibe up several notches with a museum-grade Particles print. Priced based on size and material, starting at $15. Ships worldwide. Ultra soft poly/cotton blend gets better the more you wear it. Choose your cut, color and style: analog or digital. $19.50. Ships worldwide. This may take a moment, please don't refresh! Boom. You're all set! Your order ID is ORDER ID and we've sent a copy of your reciept to EMAIL ADDRESS. You should recieve your items in 1-2 weeks. Thanks! Arrr. There was an error processing your order, please try again or contact us. Questions about your order or any items at our shop? Contact the humanoids at store@wildlifectrl.com. 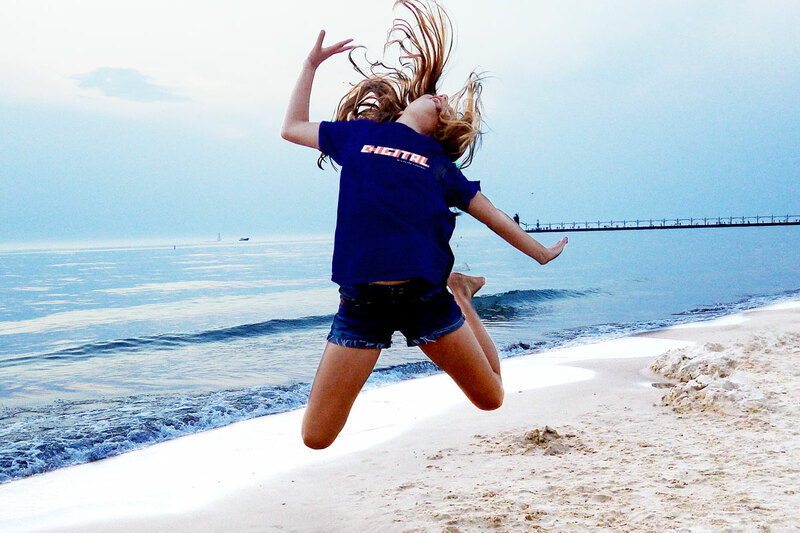 Our adult unisex and womens sizes are the same as most other nice t-shirts. Our youth sizes run smaller than most. Please read additional details below. YOUTH SIZE SMALL — generally fits ages 3-5. The shirt has a length of 21" and width 16" (inches). YOUTH SIZE MEDIUM — generally fits ages 6-8. The shirt has a length of 22.5" and width 17" (inches). YOUTH SIZE LARGE — generally fits ages 9-11. The shirt has a length of 24" and width 18" (inches). For youths ages 12 and up we generally recommend our adult sizes unisex small or womens small. TIMEFRAME — U.S. orders typically arrive in 5-10 business days from the time an order is placed. International orders (shipped outside of the U.S.) typically arrive in 7-20 business days from the time an order is placed. RATES — Shipping rates are calculated while placing an order based on the delivery address and the following guidelines: Flat rate shipping within the U.S. is $5.50 for the first shirt and $0.75 for each additional shirt in the same order. Flat rate to Canada is $8.00 for the first shirt and $1.00 for each additional shirt in the same order. Flat rate worldwide (everywhere except U.S. and Canada) is $10.00 for the first shirt and $1.00 for each additional shirt in the same order. You can check the status of orders shipped to a U.S. address any time at wildlifectrl.com/store-order-status. Generally, international orders do not include tracking. However, if one is available it will be included in your shipping confirmation email. We'll issue full refunds on unused returned items for any reason within 30 days. Simply ship them back to the address provided on your package or email store@wildlifectrl.com for instructions. Customer information is collected for the purpose of processing your order. This information is kept confidential and is not shared. Wildlife Control does not have any access to your payment information, which is processed and handled securley via Braintree (they also process payments for Uber, Airbnb, and Living Social). This website is operated by Wildlife Control LLC. Throughout the site, the terms “we”, “us” and “our” refer to Wildlife Control LLC. 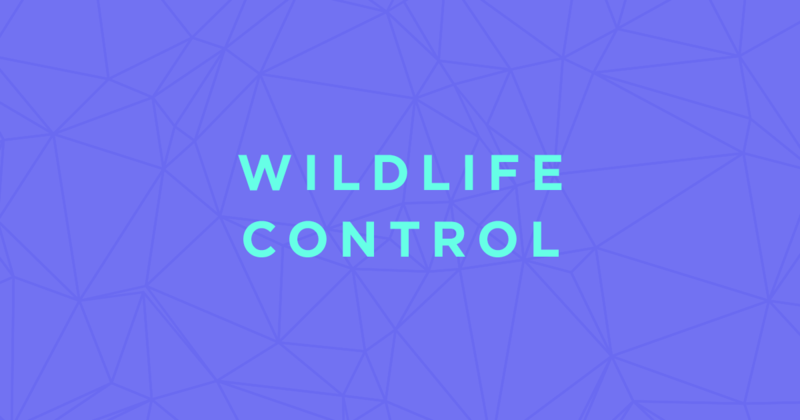 Wildlife Control LLC offers this website, including all information, tools and services available from this site to you, the user, conditioned upon your acceptance of all terms, conditions, policies and notices stated here. In no case shall Wildlife Control LLC, our directors, officers, employees, affiliates, agents, contractors, interns, suppliers, service providers or licensors be liable for any injury, loss, claim, or any direct, indirect, incidental, punitive, special, or consequential damages of any kind, including, without limitation lost profits, lost revenue, lost savings, loss of data, replacement costs, or any similar damages, whether based in contract, tort (including negligence), strict liability or otherwise, arising from your use of any of the service or any products procured using the service, or for any other claim related in any way to your use of the service or any product, including, but not limited to, any errors or omissions in any content, or any loss or damage of any kind incurred as a result of the use of the service or any content (or product) posted, transmitted, or otherwise made available via the service, even if advised of their possibility. Because some states or jurisdictions do not allow the exclusion or the limitation of liability for consequential or incidental damages, in such states or jurisdictions, our liability shall be limited to the maximum extent permitted by law. You agree to indemnify, defend and hold harmless Wildlife Control LLC and our parent, subsidiaries, affiliates, partners, officers, directors, agents, contractors, licensors, service providers, subcontractors, suppliers, interns and employees, harmless from any claim or demand, including reasonable attorneys’ fees, made by any third-party due to or arising out of your breach of these Terms of Service or the documents they incorporate by reference, or your violation of any law or the rights of a third-party. These Terms of Service and any separate agreements whereby we provide you Services shall be governed by and construed in accordance with the laws of New Jersey and the courts of New Jersey shall have exclusive jurisdiction. Questions about the Terms of Service should be sent to us at store@wildlifectrl.com. Prices displayed in USD. Payments accepted in all currencies.